I understand and acknowledge that in accordance to the Florida Drug and Cosmetic Act, Chapter 499 Florida Statues, Choosing to encapsulate/consume my placenta is not intended to prevent or treat any physical or mental diseases, ailments or symptoms and that I am choosing to consume my placenta for my own personal beliefs, whether it be spiritual or cultural. I acknowledge that Coastal Midwifery, LLC/Christa West has provided me with concrete information about both the benefits and risks of the placenta consumption, and have read all included documents. 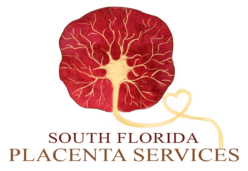 I understand that my placenta has been handled and encapsulated according to OSHA and Florida Food Safety Standards and has been cleaned, cooked and dehydrated and put into pill form in a sanitary work pace. Upon receiving my placenta capsules/tincture/smoothie from Coastal Midwifery/Christa West, I waive any and all rights to hold the specialist responsible for any undesired effect of consuming the capsules, tincture and/or smoothie. I do not hold Coastal Midwifery and/or Christa West responsible or liable for any transport mishap that is beyond their control (ie: car accident, or detainment) and understand that I am choosing to have the specialist encapsulate my placenta. If my placenta is not encapsulated in my own home, I put full trust and acknowledgement that it is being handled in a sanitary and safe environment. I have provided Coastal Midwifery/Christa West with blood documentation stating that I have been tested for STI’s and the results were negative. I understand and trust that Coastal Midwifery/Christa West retains blood work records for each client and that I am protected. I understand that upon receiving the capsules, Coastal Midwifery/Christa West is no longer liable, including but not limited to any other person(s) ingesting my own placenta capsules, tincture and/or smoothie. You can also Download The Waiver Here, sign and email it to: coastalmidwifery@gmail.com.